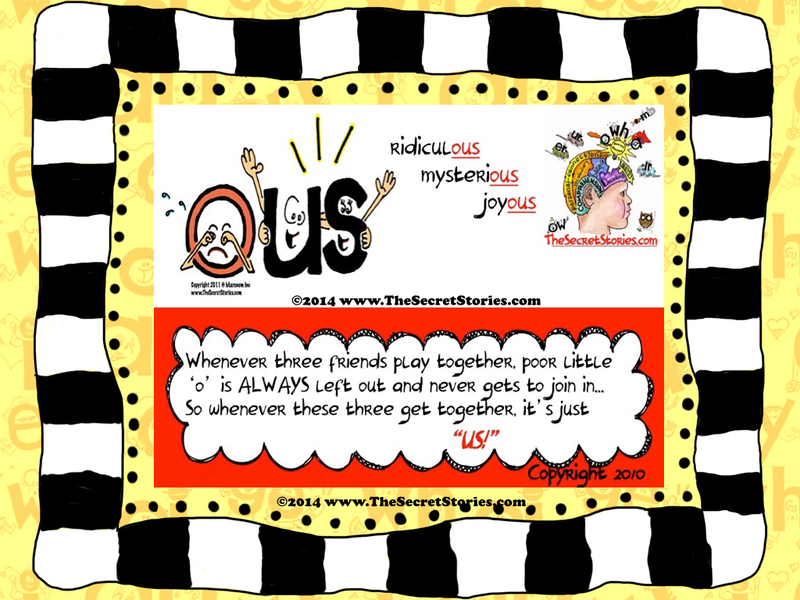 Secret Stories® Phonics Blog with Katie Garner: You Can't Fight the Brain— It's the Ultimate Pattern-Making Machine! 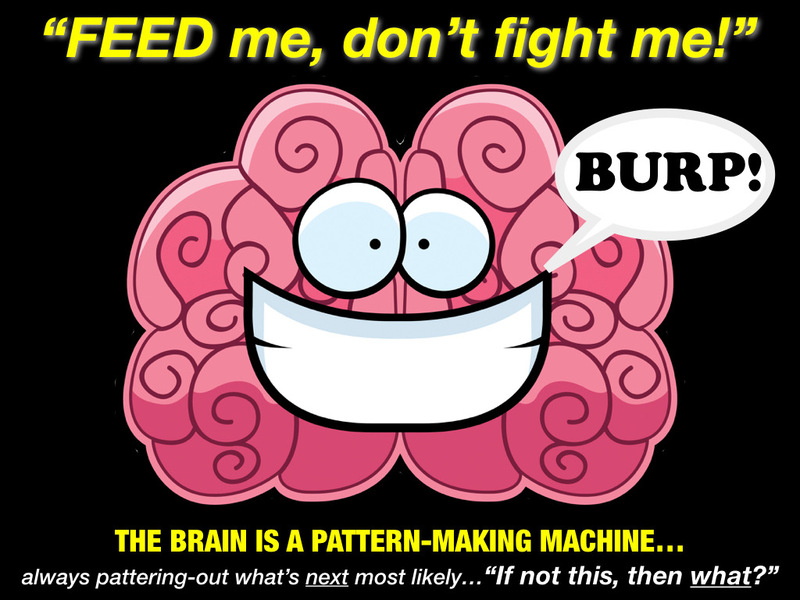 You Can't Fight the Brain— It's the Ultimate Pattern-Making Machine! 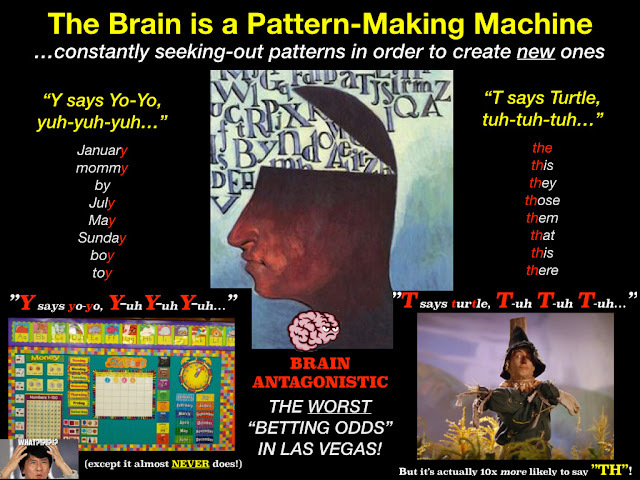 The Brain is the Ultimate Pattern-Making Machine! 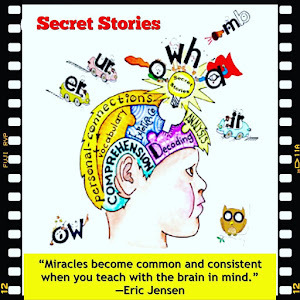 In a previous post, I explained how to get the most brain-BANG for the buck when using Secret Stories® to sound-out unknown words and help learners to "think through" or pattern-out the most likely sound options. While that post focused on how to think like a doctor, this post will focus on why! Engaging with unknown text in this way transforms daily reading and writing into a virtual playground for critical thinking and deeper learning, and is far more beneficial from a brain-based perspective than rote memorization of sight words, as evidenced by recent Stanford University Brain Study on Sight Words, referenced in this post. When it comes to learning, our brain's core belief system is comprised of everything that's already known to be true. Our brain is the ultimate pattern-making machine. It is continually engaged in two primary functions— seeking-out patterns and creating new ones. Whether deciding what to eat for lunch or solving complex mathematical equations, our brains remain on a perpetual hunt to both find and make new patterns! Once identified, our brain will attempt to connect the new information its perceived to that which it already owns, so as to create a new pattern. And this pretty much sums up the brain's core learning process! With each new pattern connection that is made, our thinking network continues to grow... and the more connections made, the easier it will be to identify new ones. Acquiring knowledge in this way is both easy and effortless, with no memorization or repetitious practice required! Pattern making is pleasing to the brain. 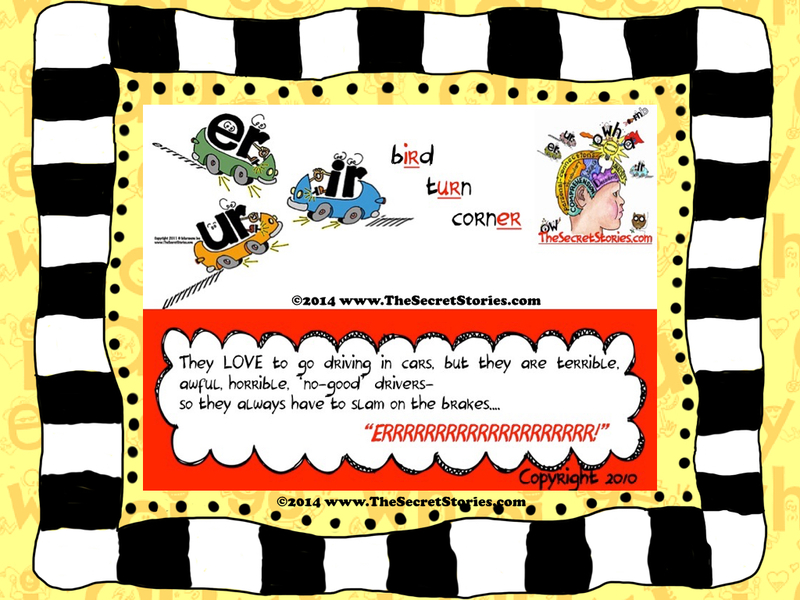 The brain takes great pleasure in taking random and chaotic information and ordering it. The implications for learning and instruction is that presenting a learner with random and unordered information provides the maximum opportunity for the brain to order this information and form meaningful patterns that will be remembered. The brain, when allowed to express its pattern-making behavior, creates coherency and meaning. Research shows those considered to be the most intelligent among us, based on IQ testing, are actually the best pattern makers, as they are able to see patterns where others see only randomness. 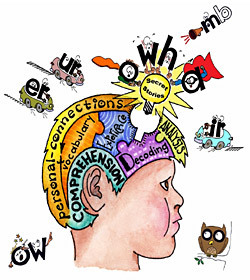 Author Michael Michalko (author of Thinkertoys, Cracking Creativity, and Think-Pak) wrote in a recent blog post, How Geniuses Think, that "When confronted with a problem, a genius will ask, "How many different ways can I look at it? How many different ways can I solve it?" Beginning and struggling readers must employ this same diagnostic thinking when using the Secrets to sound out unknown words in text, asking, "What else can it be?.... What else could I try?" Engaging in this type of analytical, problem-solving is often referred to as "thinking outside the box," but to do it effectively, you have to know what's in it! And this is why knowing the Secrets is so important for beginning and struggling readers, as they equip learners with everything that's in the box so that they are empowered to think outside it! According to Michalko, it is the ability to "connect the unconnected" that makes one some capable of "seeing things to which others are blind." Einstein, Mozart, Edison, Pasteur, Picasso....some of history's most prolific thinkers who were also great pattern-makers! Research shows that it's about teaching students how to think, not what to think.So what does this mean for teachers? It means that we can teach thinking by teaching patterning! It means that regardless of students' personal strengths or weaknesses, inclinations or academic interests, teaching them how to pattern-out new information makes them better thinkers ... and more intelligent! That's right! The research shows that by helping learners to foster new connections, we have the power to increase physical brain mass, maximizing learner-potential and better preparing them for future learning! The Brain is a "Pattern-Making" Machine! When the odds are 10 to 1 against a letter actually making the sound that learners expect it to, trying to read words can feel like a wild goose chase! 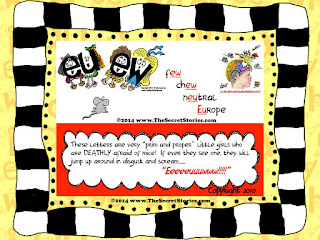 But for learners who know the letters' Secrets! 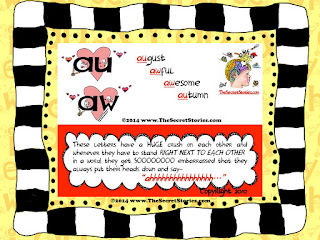 Download the Secret Stories® Mini-Poster "Appetizer" Anchor Pack FREE! Effective instruction should align with the brain's natural learning process, not against it, and this can be extremely difficult when teaching letter sounds and phonics. 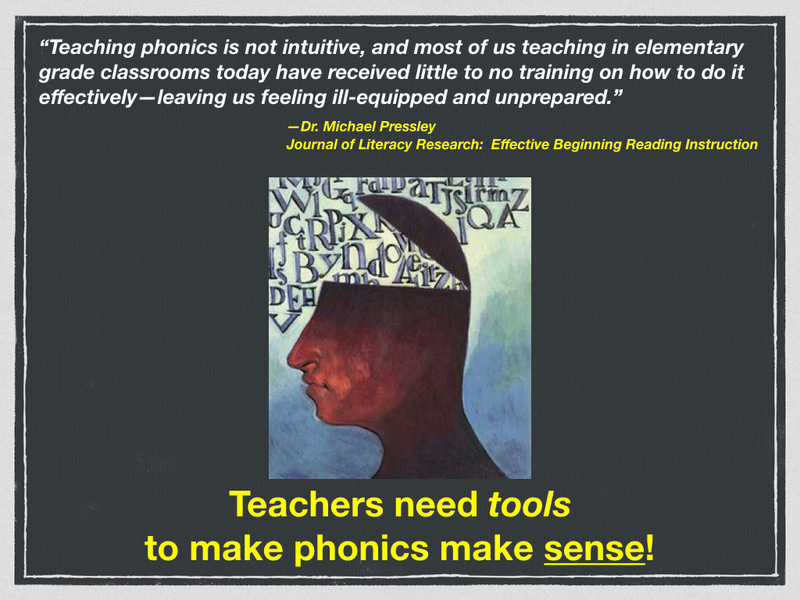 Teaching phonics is not intuitive, and most teachers in early classrooms today have received little to no training on how to do it effectively. So how does one teach something that doesn't seem to make sense in a way that actually makes sense? They know the Secrets, of course! The ability to classify incoming information quickly into categories (based on patterns that we know) means that the brain can use easier rules to deal with the new input, which is less stressful than always having to deal with things that haven't been seen before. In other words, our brains are hardwired to look for patterns, and the Secrets are patterns— not abstract letter patterns, but patterns of behavior that are designed to mimic learners' own behavior. Knowing these patterns (i.e. 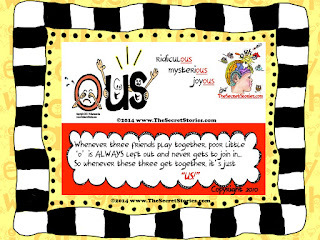 Secrets) equips learners to more easily deal with new information (i.e. unfamiliar words) and better identify the best course of action (most and next most likely sound options to try). In contrast, inexperienced early grade and struggling upper grade readers who don't know the Secrets must constantly deal with things (i.e. 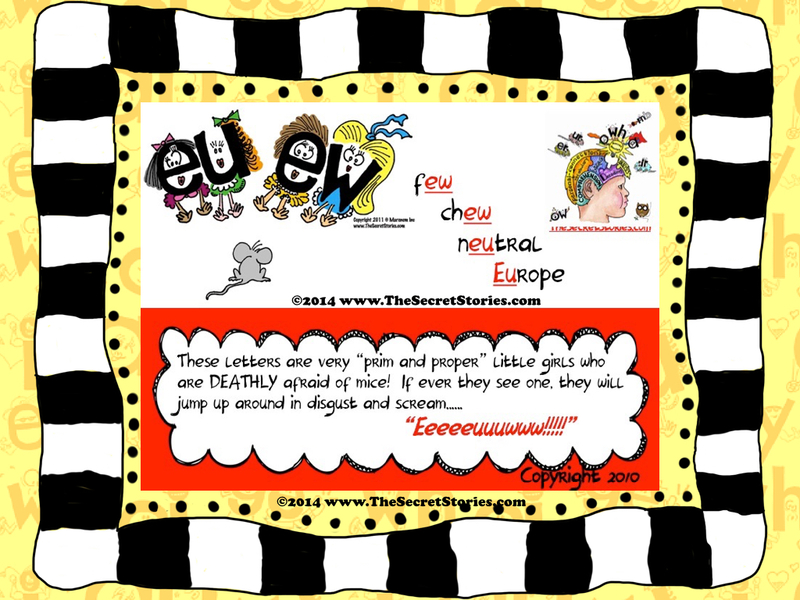 words, phonics patterns) they have never seen before, and are usually told, "It just is... It just does... You just have to remember...." when they can't read or spell a word. Seth Godwin, author of Looking for Patterns (Where they don't Exist!) writes, "Human beings are pattern-making machines. That's a key to our survival instinct— we seek out patterns and use them to predict the future. Which is great, except when the pattern isn't there, then our pattern-making machinery is busy picking things out that truly don't matter." 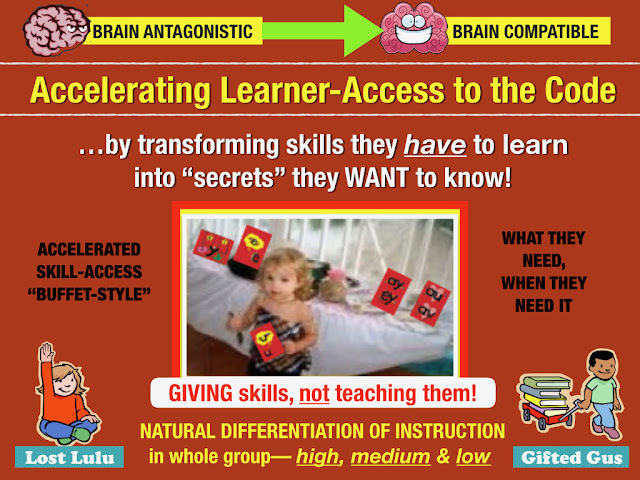 The brain science cuts a clear path for teachers today, and understanding how we might better align our instruction with the brain science is critical information for those in early grade classrooms, as well as those working with struggling readers at the upper grade levels. For more, click here to subscribe free to my YouTube Channel and check out the video clip below to find out why "Cheating the Brain is Like Robbing a Bank!" Breaking down the grade level walls of phonics introduction— one "Secret" at a time! 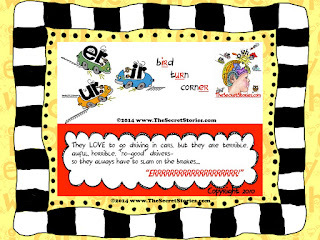 Secret Stories® accelerates learner access to the code by fast-tracking individual letter sound skill mastery to just 2 weeks to 2 months (via muscle memory) while simultaneously targeting learners' earlier-developing, affective (social-emotional) "feeling" networks with Secrets for accelerated phonics skill mastery. This looks amazing! We used your free Secret Stories Sampling Pack last year and my kids loved it and caught on so quick! I would love to be able to use more in my classroom this coming up year! There's nothing in my classrooms students use more! I would love to try this with our homeschool group . This intrigues me so much I'm willing to try it out! :) Please include me in your drawing as this looks fantastic and I'd love to help my students discover the story secrets in words!! Would love to try this with kindergarten students so please enter me in your next drawing! Fingers crossed! I love your secret stories. I started teaching more linguistics rules last year in my class than phonics. Giving my 'littles' a reason for sounds or a pattern to look for made them more confident and their reading and writing showed it. I would love to be part of your drawing. Well I really would rather Win the free set. I am most interested in trying your products. I have been teaching for over 30 years and I think you are "spot-on" with your methods. I'm an ELL teacher, and your multi-sensory approach sounds great! 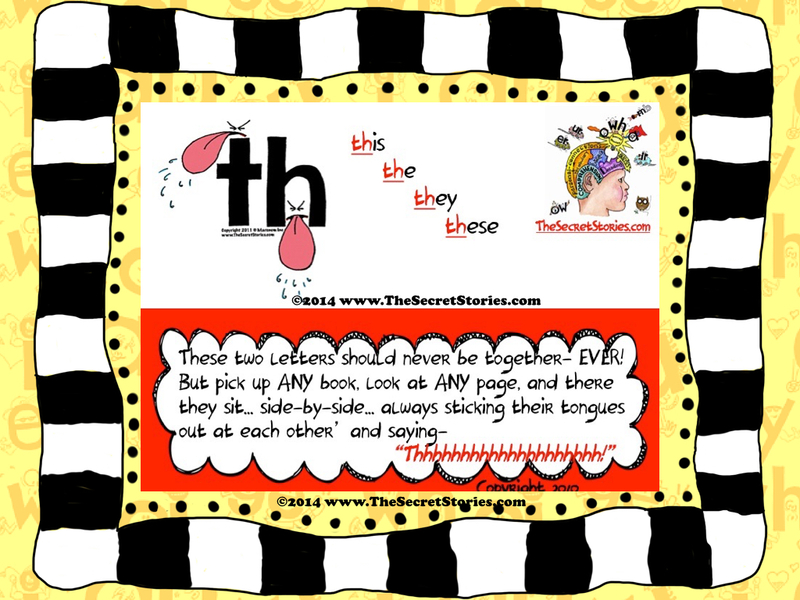 I LOVE the Secret Stories! I used the kit about 10 years ago when it was supplied by my school. I have since been teaching in upper grades and last 4 years only primary math. This coming fall, I will be teaching every subject to my kinder class and I would love to have this classroom kit please. 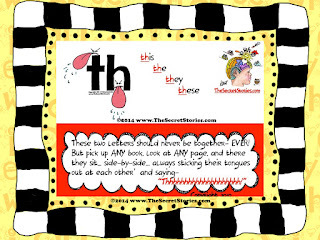 Using secret stories is the best way for the kiddos to learn and enjoy learning. I just discovered your work. I feel like I have hit a treasure trove.